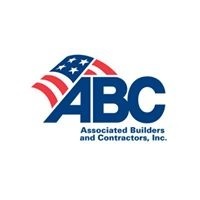 WASHINGTON, Jan. 29 – (RealEstateRama) — Estimated November construction unemployment rates fell nationally and in 44 states on a year-over-year basis, according to an analysis of U.S. Bureau of Labor Statistics data released today by Associated Builders and Contractors. Alaska and Mississippi were also in the bottom five in October. For the fourth month in a row,Alaska had the highest estimated construction unemployment rate. Nonetheless, this was the state’s lowest November rate on record, matching its 2015 rate. Montana had the second highest rate compared to ninth highest in October (tied withTennessee). Its 3.2 percent year-over-year drop was the third largest decrease among the states. Also, it was the state’s lowest November rate since 2007, when it was 4.2 percent.